To cheapen the lives of any group of men, cheapens the lives of all men, even our own. This is a law of human psychology, or human nature. 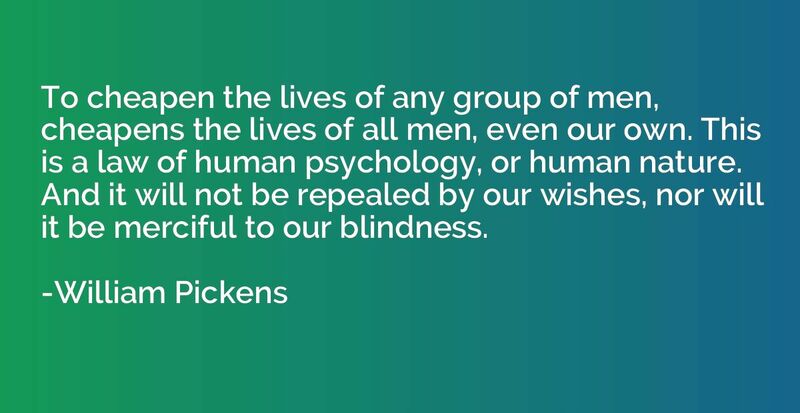 And it will not be repealed by our wishes, nor will it be merciful to our blindness.